If you’ve been a crime victim and suffered personal injuries in Miami Beach, you know that this wonderful city is not only about having fun and entertainment. Call the Miami Beach crime victim compensation attorneys at (305) 285-1115 to help you in recovering damages as you deserve. It can be a complicated case of determining legal responsibility and struggle against someone who doesn’t want to pay for your harms and losses. Our Miami Beach crime victim lawyers are standing by to help those who have ended up injured in Miami Beach. Our consultations are free, and we never charge a fee unless we make a recovery for you. Miami Beach what people think of when they talk about beach paradise of South Florida. Packed with miles-long beaches, bars, restaurants, water parks, hotels and resorts, it receives millions of tourists from all around the United States, as well as from Europe and other continents. It is located on a natural and man-made barrier islands between the Biscayne Bay and the Atlantic Ocean. These are just the most common crime accidents leading to personal injuries that our Miami injury attorneys have seen. However, if you’ve been injured in a different kind of crime, you may still be eligible for compensation. That is why you should speak with the best Miami Beach crime victim lawyer you can call. Florida laws provide crime victims with several options for recovering damages for personal injuries sustained during crime attacks. Whichever path you choose, you may have an opportunity to get compensated for the damages you’ve suffered. The first option is to claim damages from the assailant. Once he is convicted, it will be no problem to recover from him. However, this is not as simple as it sounds. Sometimes assailants remain unknown for a long time, sometimes they remain unknown forever. Even when they got caught by the law enforcement agencies, proving his guilt could take a while. Of course, most criminals fail to pay for the full extent of the damages they cause when they commit crimes. You can apply for compensation at the Florida Bureau for Victim Compensation. There are certain requirements set by the law, but if your case meets those guidelines, you may be qualified for compensation for some of your economic damages. There is one more option. You may claim damages from third persons if the crime attack has occurred at their premises. Under Florida liability laws, third persons must provide a reasonably safe environment as a duty of care to visitors. That means an obligation to take all the reasonable measures to prevent foreseeable crimes on the premises. 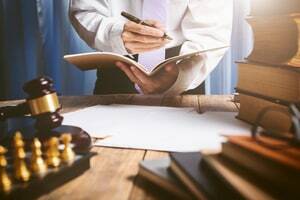 If this duty is breached due to wrongful act, omission or negligence, and that leads to a personal injury, the third person or corporate entity may be legally responsible for compensating you. As a legally defined survivor, such as certain family members, you may be eligible for compensation if you lose a family member in a violent crime. Our Miami injury lawyers have helped survivors of wrongful death recover damages from liable parties. If you are a family member of a murder victim, make sure you talk to a lawyer about the rights you may have in this situation. Our consultations are free, and we don’t ask for fees until we recover for you. Call our bilingual Miami Beach crime victim attorneys at the Wolfson Law Firm and let us help you get compensated by whoever is liable for your injuries. Call us today at (305) 285-1115 and let’s get to work on your pursuit of compensation and justice.